Here’s a hard truth: no matter how full your survival pantry is, it will run empty one day. See, keeping a healthy stash of survival food is well and good as it would somehow soften the blow of a short-term SHTF situation. However, that stockpile is not going to last forever, especially in a scenario that involves massive food shortages or long-term economic collapse. How will you and your family prepare for that kind of disaster? Like a hidden vegetable garden, raising animals is a sustainable way to survive. Aside from giving you a steady supply of fresh meat, you can also use raise animals for eggs, dairy, lard, fur and hide to help you survive. These items will be invaluable when things go awry. You can even raise your own livestock permanently and be independent of grocery stores and supermarkets. This way you also know where your food is coming from…none of those grocery “meat” that may be full of harmful GMOs. Before you dive in and buy all the piglets, chicks and/or goats in your vicinity, keep in mind that raising livestock is not a walk in the park. These animals will depend on you for food, shelter and other needs— raising them will undoubtedly require commitment, time, effort and of course, money. It could be a steep learning curve, especially for first-timers or for people who grew up in urban or suburban communities. Space – do you live in the city, the suburbs or a huge plot of land out in the country? Where you live is a big factor in choosing the kind of livestock you can raise. Some animals like pigs, goats, and cattle will need places to roam and forage for food, while some, like chicken and rabbits, only need a coop or small shelter. Food and Water Source– can you provide your animals adequate food and water? Do you have time to feed them regularly? What type of food will you feed them with? Waste Disposal– yes, animals poop. Do you have means to dispose of their waste? Will you use their waste as fertilizer? Shelter and Protection– animals need shelter and protection from harsh weather conditions and predators. State Laws And Regulations – some suburban communities ban or regulate the raising of domestic farm animals in the backyard. Be mindful of these regulations; breaking the law will result in a nasty fine and your animals can face the risk of confiscation. Purpose– what will you raise the animal for? Do you need a source of meat, or do you want to raise animals for other products like eggs, dairy or fur? Do you intend to sell them live? Chickens and ducks are the usual suspects when one talks about raising livestock for the first time. These animals don’t only provide meat, they also lay eggs that you can use for various purposes. These domesticated birds also have feathers that can be turned into pillows. The question is, which fowl is the best match for you? There are literally billions of chickens in the world. If other people can raise them, you can too. Chickens don’t need a lot of space, so they’re ideal for preppers who don’t have a lot of acreage. They can also reproduce quickly and can yield a lot of meat in relation to how much they eat. A pretty healthy chicken can produce one egg per day on average. Eggs are awesome sources of protein and you can do a myriad of things with them. Eggs can be turned into omelets, added to baked goods, boiled, fried, scrambled…you know the drill. If you’ve got a few hens who lay eggs regularly, you can rest assured you’ll have something to eat for days on end. When you allow them to forage for their food, chickens can be very low maintenance— they can eat just about anything, including bugs and other pests that harm your garden. Chicken waste also contains high amounts of nitrogen, which is perfect as fertilizer. Chicks pretty cheap; you can buy them for hardly more than a dollar on average. Considering the benefits you can get from chickens, it’s pretty safe to say that raising them is very cost-effective, indeed. Domesticated ducks are intentionally bred to be heavier than their wild counterparts so that they can’t fly away; consequently, this means that they also yield good meat. Like chickens, ducks also provide eggs and are very low maintenance. Unlike chickens, however, ducks are mostly impervious to the cold so you often don’t need to take extra steps to keep them warm during the colder months. They also lay bigger eggs than chickens. The best part about keeping ducks is that they’re mostly immune to diseases and parasites that hound chickens, so you’ll have to worry less about these birds. Perhaps the biggest adjustment you’ll have to make is their living space: ducks love water so they’d need a place to bathe and wade. If you don’t have a huge patch of land, you can make do with an inflatable kiddie pool. You can feed your ducks with the same feed as chickens, but you might want to give them some nice leafy veggies on top of the feeds. Ever heard of the term “breed like rabbits”? Well, there’s some truth to that— rabbits reproduce like crazy, and that’s a good thing. An average rabbit can reach sexual maturity at around 3-8 months old. They gestate for about 28-30 days and produce an average of 4-6 kits per litter, depending on the breed. Rabbits recover quickly, too: they’re technically ready to have a go at it again after a mere day. However, as a responsible breeder, you might want to wait about a month or two before you get your female rabbits to bear kits again. This is so they can recover and care for their current litter properly. Rabbits don’t need much to thrive; you’ll just need to feed them regularly with nice vegetables and leafy greens. Make sure to clean out their pens— rabbits tend to stink when left unattended. Provide them with adequate bedding and hay. When done right, you can have a large brood of bunnies after a year. More rabbits will mean more meat for you and your family. Raising rabbits is actually an efficient way to produce meat without using up a lot of feed or space. Aside from their meat, you can also breed satin rabbits for their fur. Another less common way to keep animals is through beekeeping. It takes a bit more effort than most animals (well, technically bees are insects), but if you keep at it, you’ll reap many benefits. First off, beekeeping is a wonderful way to produce your own honey. We discussed the many benefits of honey in this article, and suffice it to say that it’s a must-have for every prepper. In an SHTF situation, honey is not only beneficial for your own use, you can also keep it around as a trade and barter item. You can use other bee products like beeswax to create candles and make cosmetics like balms and lotions. Second, keeping bees helps pollinate many flowering plants. Pollination is what bees are all about; keep them around and you’ll have a blooming garden in return. In the long run, you can even offer pollination services to farms and homesteads that need it. Lastly, keeping your own bees can help ensure their own survival. Bees have been experiencing a steep decline over the past few years. A mysterious condition called Colony Collapse Disorder has been leaving hives dying left and right. Providing your bees with the right environment to thrive can help mitigate this problem. To start beekeeping, you have to first make sure that none of your family members are allergic to bees. You also have to avoid using pesticides in your plants, since bees will obviously be collecting nectar from them. Getting started can cost a bit: you’ll need a hive, a smoker, proper collecting clothes, and of course, the bees themselves. The cost of setting up a hive can cost around $300 at the minimum. Here’s a comprehensive guide on beekeeping that has all the details. Expect a learning curve when you’re starting out, but once everything’s set up, you’ll basically have a colony of bees capable of looking after themselves and producing precious honey. In a survival situation, it’s more practical to keep goats instead of cows. The reason is simple: goats take up less space than bovines. Because of the significant difference in size and weight, they’re also easier to handle. Goats give you the same products cows do, like meat and dairy. Goat milk is reportedly better than cow’s milk, containing significant amounts of protein, vitamins, and minerals but low in cholesterol. Aside from this, goats don’t need as much grass or pasture as cows. When the going gets tough, they can subsist on weeds and the like and still be fine. You can also use their manure as fertilizer. If you’re fully committed to raising livestock and have gotten the hang of raising poultry and other smaller animals, then maybe it’s time to get a pig. Pigs are great for homesteaders as they provide lots of meat. You can start by raising a pair of weaners annually; you can buy them in the spring and butcher them come fall. If successful, you can start bringing in some breeding stocks so you can raise them for the long-term. You can grow them for their meat, or sell them on the hoof. Raising pigs poses a bigger challenge compared to raising rabbits or poultry. First off, you’ll need some ample space. You’ll have to build them a sturdy pen where they can stay and be protected from the elements. The pen should be able to withstand all the chewing and burrowing; pigs are known to dig under the fences to escape, so make sure you build a nice, strong enclosure. Allow around 4 square meters for an adult pig to roam around with ease. Pigs are unable to sweat, so they’ll need a place— preferably with lots of mud— to wallow and cool down. They’ll also need water and some grass. What’s great about pigs is that they will basically eat anything you give them. You can feed them with leftovers, excess produce like bruised fruit, vegetable peels, and the like, and they’ll be a-okay. There are two things that you need to do though if you’re raising pigs. Since they spend a lot of time burrowing about, pigs need to be dewormed and vaccinated to protect them against diseases like Foot-And-Mouth disease, swine fever, and E. Coli diarrhea. Raising animals for survival is no easy task. It’s a big step and involves a lot of work, but the benefits that you can get from successfully raising your own livestock is worth every effort. Tending to farm animals will take a lot of getting used to, especially for urban or suburban preppers. But with some practice, research and lots of determination, you’d soon have yourself a steady supply of food and other products when SHTF. 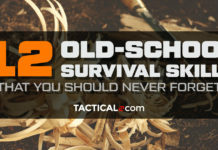 And that way, you won’t have to worry about your survival stockpile ever running empty again.